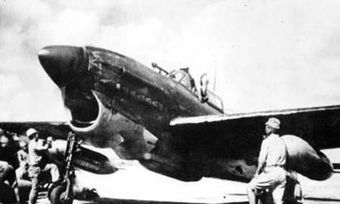 The Yokosuka (横須賀) D4Y Suisei (彗星 "Comet") Navy Carrier dive bomber was operated by the Imperial Japanese Navy. Its Allied reporting name was "Judy". 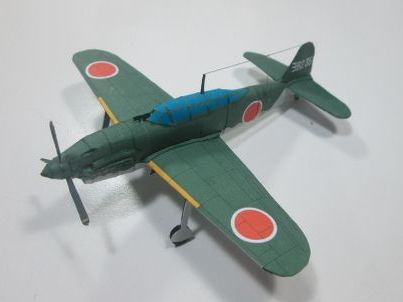 The D4Y was one of the fastest dive bombers of the war and only the delays in its development hindered its service while its predecessor, the slower fixed-gear Aichi D3A, remained in service much longer than intended. 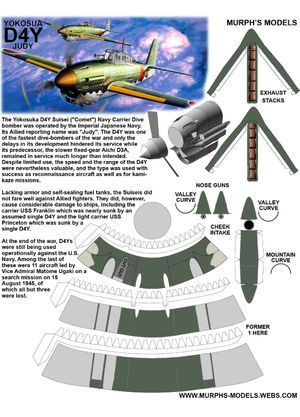 Despite limited use, the speed and the range of the D4Y were nevertheless valuable, and the type was used with success as reconnaissance aircraft as well as for kamikaze missions.